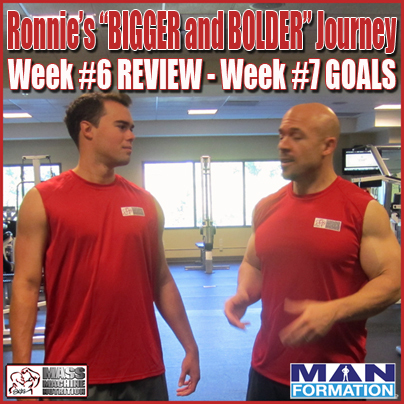 During this audio recording, Skip La Cour takes his nephew Ronnie through a review of Week #6 of this journey and sets goals for Week #7. Ronnie is stepping up like an entirely new man during this Week #6 coaching session–and you can really tell it by what he says and the voice qualities he uses while speaking. The lessons he’s being taught during this “BIGGER and BOLDER Journey” in addition to the people skills he’s learning at his new job are helping him achieve a entirely new level of confidence. Great job, Ronnie!